The HP Colour LaserJet CP6015xh is ideal for all of your office printing needs, and makes days spent leafing through complicated instruction manuals days of the past. The CP6015xh is fast, effective, and easy to use. And because it’s HP, you know at the heart of the printer is the latest modern technology, meaning you can buy in confidence, safe in the knowledge you’ll be using one of the most advanced printers around. When the time comes to change your CP6015xh toner cartridge, a necessity when using a printer which produces up to 41 pages per minute, simply click your way to Cartridge Save and your replacement toner will be despatched as soon as possible! 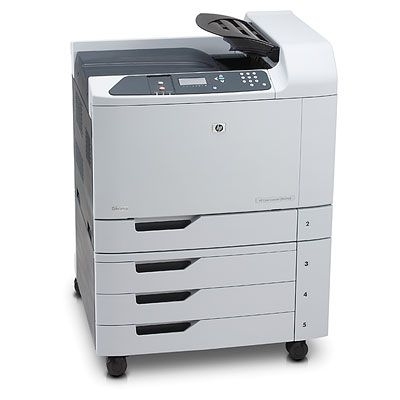 The HP Colour LaserJet CP6015xh printer is the solution to all of your office printing needs. It’s unrivalled speed means no more time will be wasted waiting by for your work to print, but also makes the CP6015xh as cost effective as possible. And remember to revisit Cartridge Save when your CP6015xh toner cartridges are running low- stock up before the toner runs out and your printing doesn’t have to stop!